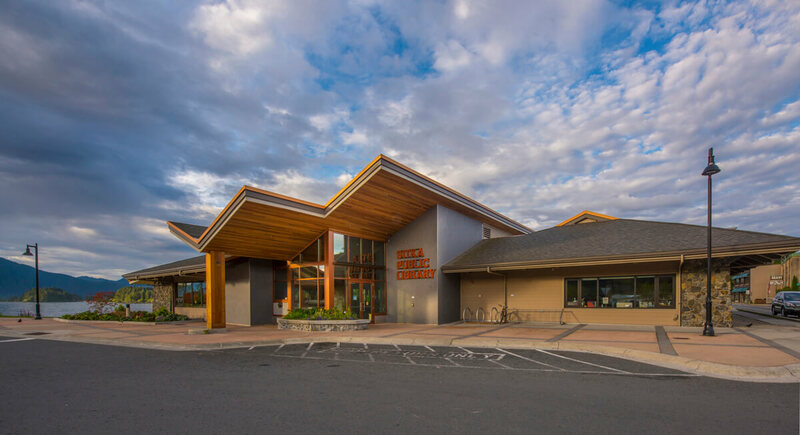 The Sitka Public Library project is a renovation and expansion of the original design. The project started in 2011 as a Foraker Group study, with MRV studying new sites and expanded program. 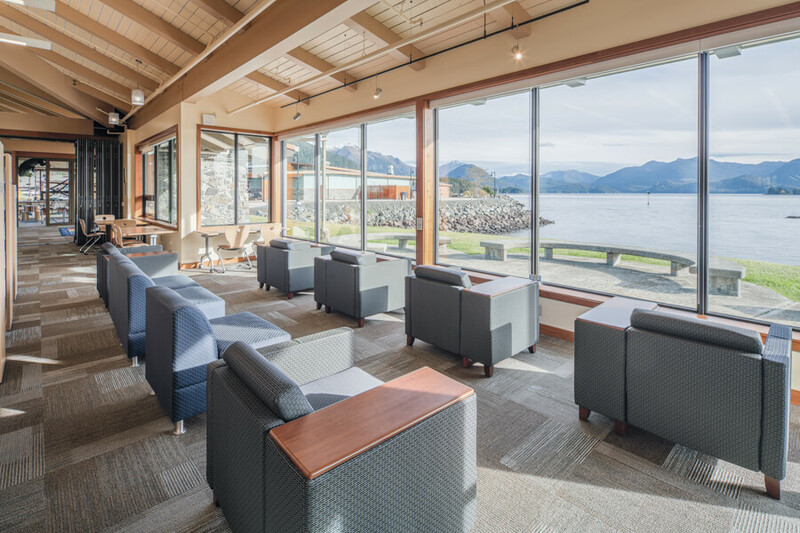 Subsequently, the City and Borough of Sitka hired MRV to develop more options, settling on a moderate 60% expansion along with full reconstruction of existing portions. 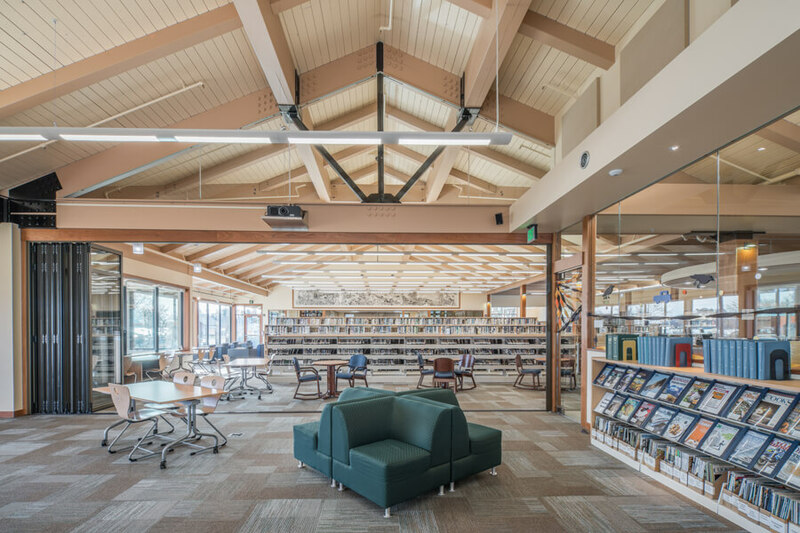 The like-new facility of 11,500 SF features expanded public seating, flexible meeting space, separated computer room, a new teen area, and expanded children’s area. Central to the new layout was a focus on expanding the beloved waterfront connection and view. 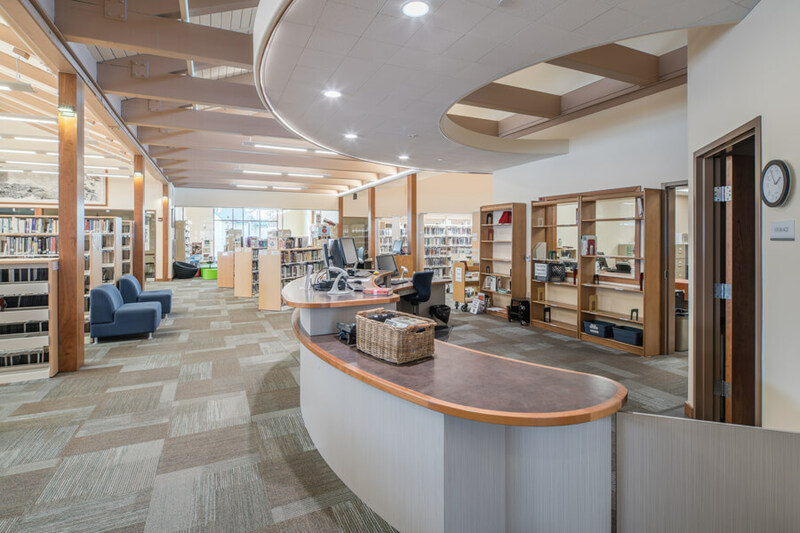 A key element of the expansion and renovation was the integration of 100% new mechanical and electrical systems. 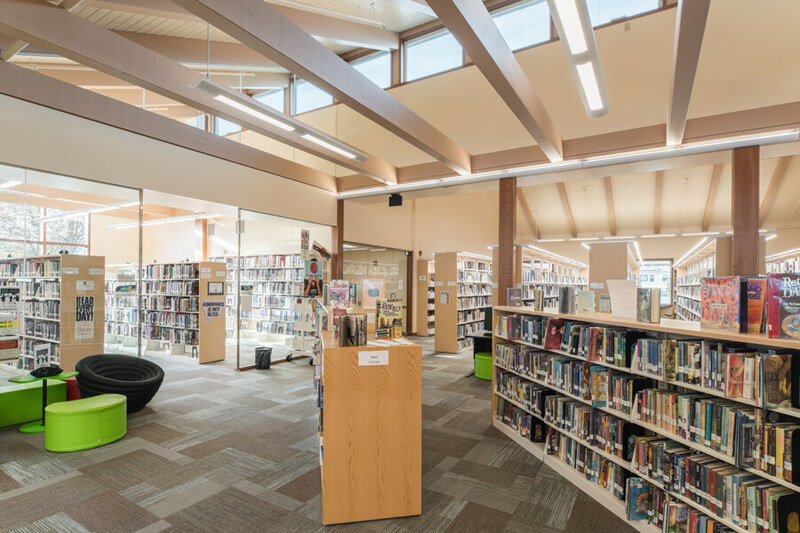 Coupled with substantial envelope improvements, such as rigid board exterior insulation and triple glazing, the project has achieved the lowest tested operational cost of any library in Alaska or Washington.